﻿ Planning to Start Your Own Small Scale Soyabean Oil Mill in Your Country? 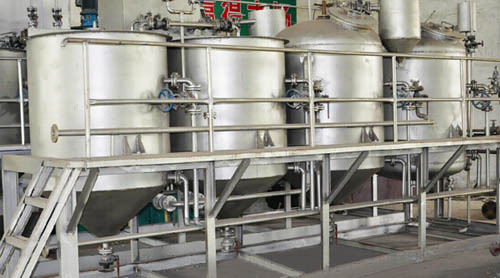 Our small scale soyabean oil mill can remove phospholipids, pigments, off-flavor, free fatty acids, and other impurities in the crude soyabean oil, which contains refining process as oil degumming / neutralization, bleaching, deoderization, and winterization(optional). Soyabeans are an important global crop, providing oil and protein. In the United States, we say this plant "soybean", whereas it is called "soya bean" when in UK. 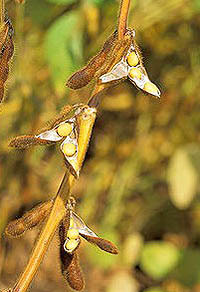 Soyabean is widely grown for the reason that its seed is edible. The U.S., Brazil, Argentina, China and India are the world's largest soybean producers and represent more than 90% of global soybean production. Soya bean meal is a inexpensive but useful source of protein for animal feeds and many prepackaged meals. For human consumption, soybeans must be cooked with "wet" heat to destroy the trypsin inhibitors (serine protease inhibitors). Raw soybeans, including the immature green form, are toxic to humans, swine, chickens, and in fact, all monogastric animals. Soybeans are considered by many agencies to be a source of complete protein. A complete protein is one that contains significant amounts of all the essential amino acids that must be provided to the human body because of the body's inability to synthesize them. Welcome to contact us whenever you are interest in our small oil mill. We are always at your service!